This should be an interesting partnership. 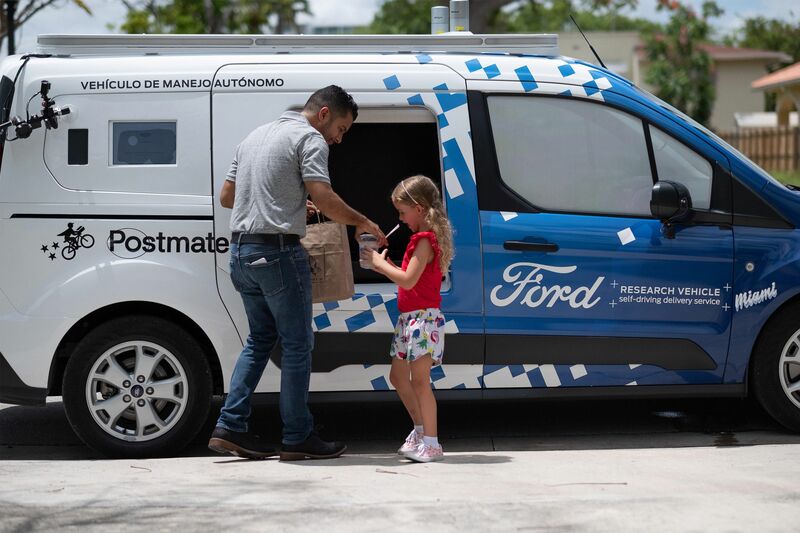 Ford’s latest autonomous delivery test is underway, as the automaker has partnered with Postmates, to operate a self-driving delivery service. The trial is all about researching how people interact with (what look like) self-driving vehicles on both sides of the delivery process. That should help Ford identify and address issues with autonomous deliveries. The company is testing self-driving technology in separate vehicles. Customers who order from the service will have to interact with the vehicle to retrieve their orders. When the meal is ready for delivery, a restaurant employee places the order in a locker system in the car, which will keep the food secure.